Zootopia opened in four markets this weekend as it continued its stampede across the global box office with $64.8 million haul from 49 territories in its sixth frame. 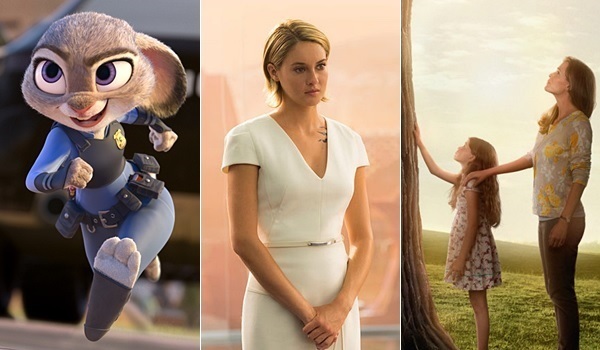 Australia is the top opener with $3.7 million, followed by Brazil's $2.5 million bow. China continues to lead the pack with a $173.4 million take, followed by France ($25.4M), Russia ($24.9M), Germany ($19.2M), South Korea ($18.1M), and Mexico ($15M). Zootopia has now grossed a total of $389.9 million overseas and $591.7 million globally. The Revenant brought back $36.4 million from 11,951 screens in 24 markets, including a $33 million three-day debut in China. IMAX screenings in China brought in $2.3 million from 278 screens. France continues to be the busiest hold-over market, finishing its fourth weekend with a $1.7 million haul from 609 screens and raising its market total to $23.1 million. The Revenant has grossed $302 million overseas and $483.1 million worldwide. Kung Fu Panda 3 opened in 40 new markets over the weekend, finishing the frame with $31.8 million from a total of 12,713 screens in 51 markets. Italy was the top opener with a $3.8 million bow from 809 screens, followed by Germany ($2M from 1,143 screens), Hong Kong ($1.4M from 97 screens), and Argentina ($1.2M from 330 screens). The film finishes its latest frame overseas with a $257 million cume and $395.3 million global total. The Divergent Series: Allegiant added $22 million to its overseas tally this weekend, taking its cume outside of North America up to $53.4 million from 77 markets. Mexico was the top new opener with a #2 debut this weekend that amounted to $2.4 million, while France tops all markets in release with an $8.1 million total. Allegiant grossed $400k of its weekend tally from 139 IMAX screens, raising its total in the large screen format to $1.4 million. Allegiant has grossed $82.5 million worldwide to date. Gods of Egypt added $6.2 million from 74 markets this weekend, taking its overseas total to $98.7 million -its sights sets on hitting $100 million by Monday. China remains the top global market with a $32.6 million over two weekends. The film has grossed $128.2 million worldwide. Deadpool continues its strong run with $6.1 million from 3,997 screens in 33 markets, taking its overseas total to $389.7 million. Top grossing active markets include the UK ($52.7M), Australia ($28.9M), France ($28.2M), Germany ($23.4M), and Brazil (19.9M). Japan is the final market to release on June 3. Deadpool has grossed $730.6 million globally. Kapoor & Sons (Since 1921) saw a strong start in its home market, grossing $4.9 million from 1,500 screens in India. The UK also saw strong results with $259k from 63 screens. The film has grossed $5.1 million outside of North America and $6 million worldwide. Hail, Caesar! grossed $2 million from 34 territories and brought its overseas total to $27.3 million. The latest flick from the Coen brothers has now grossed $57.3 million worldwide with six territories left on its schedule over the next three months, beginning with South Korea and Peru on March 24. The Witch scared up $1.3 million from 8 markets, giving it an early overseas total of $4.1 million. Egypt opened to a strong #1 with $134k at 12 dates, the fourth biggest debut for a Universal title in the market. The thriller has now grossed $27.8 million worldwide. The Witch is scheduled to open in 11 more markets over the next several markets, including next weekend's debut in the Czech Republic. The Danish Girl made $1 million from 33 territories, including a limited release bow at 68 dates in Japan where it opened with $435k and the third best per-screen average in the market. The film expands to its final market, Serbia/Montenegro, on March 24. The awards title has grossed $50.2 million overseas and $61.3 million globally. Disney's Zootopia took in $4.55 million on Thursday to lead the daily box office for a 14th consecutive day. The blockbuster 3D computer animated film was down just 1 percent from Wednesday, which represented the day's strongest daily percentage hold among wide releases. It should be noted that the St. Patrick's Day holiday slows business more for films aimed at adults than it does for films aimed at family audiences. Compared to last Thursday, Zootopia was up a terrific 16 percent. Zootopia was easily the week's top film with a second week take of $71.15 million. That was down just 23 percent from the film's opening week performance and brings the film's two-week total to a very impressive $163.77 million. 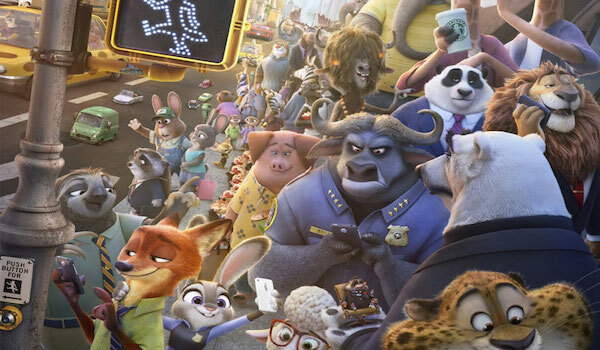 Zootopia is currently running 42 percent ahead of the $115.62 million two-week take of 2014's Big Hero 6. Sony's Miracles from Heaven held steady in second with $1.67 million. The faith-based film starring Jennifer Garner was down 12 percent from Wednesday, which represented a healthy first Thursday hold for a Wednesday release. Miracles from Heaven has grossed $3.56 million in its first two days of release. That is 49 percent below the $7.03 million two-day midweek start of 2014's Heaven is for Real. If Miracles from Heaven were to maintain a similar pace throughout the weekend, it would be headed for a five-day start in the area of $15 million. However, it is possible that Miracles from Heaven could be a bit more back-loaded towards the weekend in comparison given that Heaven is for Real opened during Holy Week. 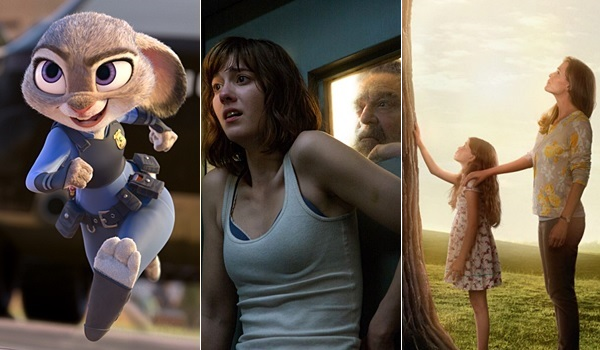 Paramount's 10 Cloverfield Lane took in $1.48 million to remain in third place. The J.J. Abrams produced thriller starring Mary Elizabeth Winstead and John Goodman was down a sharp 18 percent from Wednesday, as St. Patrick's Day clearly took a toll on the film yesterday. 10 Cloverfield Lane placed in second for the week with a seven-day start of $32.68 million. That was in line with the film's wide-ranging expectations and represented a healthy start with the film's modest price tag in mind. 10 Cloverfield Lane is running 5 percent ahead of the $31.00 million seven-day start of last year's The Visit. Deadpool grossed $1.02 million to claim fourth place. The Ryan Reynolds led blockbuster antihero film from Fox was down a respectable 9 percent from Wednesday and down just 25 percent from last Thursday. Deadpool placed in third for the week with a weekly haul of $15.66. That represented a 30 percent decline from the previous frame and brings the film's five-week total to a massive $332.94 million. London Has Fallen rounded out the day's unchanged top five with $0.856 million. The action thriller sequel from Focus and Gramercy declined 11 percent from Wednesday and 36 percent from last Thursday. London Has Fallen finished in fourth this week with $15.01 million. The film was down 47 percent from its opening week performance and has grossed $43.20 million in two weeks. Seoul and New York - March 18, 2015 - CJ 4DPLEX, the world's first 4D cinema company, announced that it has entered into a new partnership with Caribbean Cinemas. The agreement will bring 4DX technology to two movie theatres in Puerto Rico and the Dominican Republic. With these openings, 4DX will be available in the Caribbean Islands for the first time. "As a theatre chain that prides itself on being cutting edge, we are very excited to be partnering with CJ 4DPLEX and offer the immersive five-sense cinematic experience to our customers with these two launches. We've learn that state-of-the-art facilities, new building, remodeled facilities and new technology are drivers for attendance." said Caribbean Cinemas CEO, Robert Carrady. "We are very excited to bring 4DX to the Caribbean in partnership with Caribbean Cinemas. Based on our experience in other Latin America countries, we are confident that launching with Caribbean Cinemas will be a chance for us to broaden our market share in the industry." As of March 2016, 4DX reaches 229 auditoriums in 37 countries, with a goal to add 200 4DX auditoriums in 2016. 4DX has been operating in over 9 countries across Latin America - Mexico, Brazil, Peru, Colombia, Chile, Guatemala, Venezuela, Costa Rica and Panama. With these openings, 4DX anticipates to break more ground in Latin America. Sony's Miracles from Heaven debuted in second place with $1.89 million yesterday. While that is noticeably shy of Heaven Is for Real's $3.7 million opening Wednesday two years ago, the latter film had the advantage of opening immediately ahead of Good Friday and Easter Sunday. With very healthy early word of mouth, generally positive reviews for the faith-based genre, and an excellent "A+" CinemaScore, Miracles should play very well with target audiences in the weeks to come. Just behind in third place was Paramount and Bad Robot's 10 Cloverfield Lane with $1.81 million yesterday. That gives the very well-received thriller a six-day haul of $31.2 million as fans continue to spread positive word of mouth. It stands 71 percent ahead of the pace of The Cabin in the Woods. Meanwhile, Deadpool added $1.12 million in fourth place -- giving it $331.9 million domestically to date -- while London Has Fallen took fifth with $0.965 million for a new cume of $42.3 million.